The JRCC of South Thornhill is a place where you will find a warm and vibrant community comprised of people who share common values and the interest in a community bond. Our mandate is to unify the Jewish community from the former Soviet Union living in the Bathurst and Steeles/Clark area, and to infuse it's members with Jewish pride, joy and knowledge. The JRCC of South Thornhill runs a variety of programs for children, adults, and families. With the non-judgmental policy that is the heart and soul of the Chabad philosophy, we are dedicated to providing every Jew of Russian Speaking background, regardless of philosophy, level of commitment, or financial status, a welcoming environment for strengthening and enhancing Jewish family life and creating a personalized Jewish experience. Rabbi Levi Blau, born and raised in Brooklyn, graduated yeshiva high school in New York, and then studied advanced Jewish Studies at Rabbinical Colleges in America for 8 years. Following his rabbinic ordination, he taught advanced Jewish Studies at yeshiva and Rabbinical College in New York for five years. Rebbetzin Mushky, born and raised in Toronto, studied advanced Jewish Studies at Seminaries in Israel and New York. Following her graduation from Judaic Studies Teacher’s College, she taught Jewish Studies at Jewish schools for three years. Following their marriage in March, 2014, the Blau’s moved to New York to continue their educational leadership. With educational positions calling them back to Toronto, they returned to Mushky’s birthplace and took up teaching positions in Toronto’s Jewish schools and yeshivas. When the new JRCC of South Thornhill approached them with the request to serve as their Rabbi, they responded by choosing to contribute to the local neighborhood in addition to their educational positions. 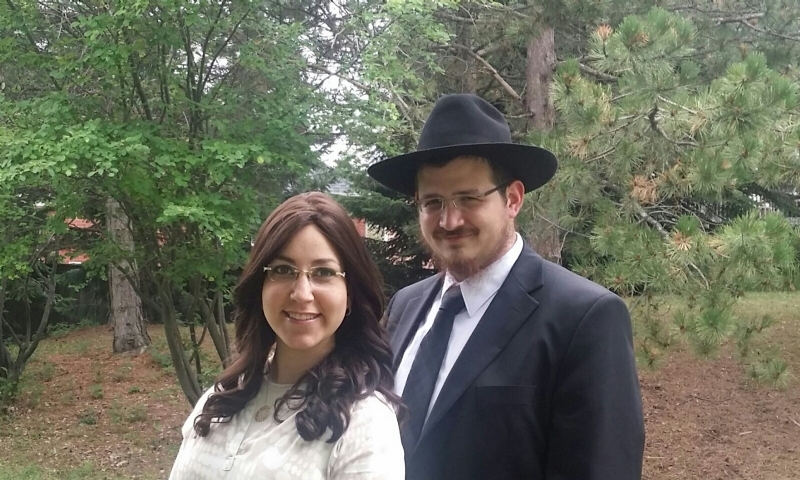 Filled with energy, optimism and dedication, Rabbi Levi and Mushky Blau began their leadership at JRCC of South Thornhill in the fall of 2014. As the community continues to grow, the events, services, plans and future ambitions continue to expand. To let us know how we can join efforts in building a brighter future for you and for our community, please Contact us and we will be very happy to hear from you and to be of service in any way possible. The JRCC of South Thornhill is a part of the JRCC network of services catering to the Russian speaking Jewish community of Ontario. Click here for more information on the JRCC of Ontario.